As a beginner to search engine optimization (SEO) you need to understand that there is no magic way to rank your website in the first page of Google, Bing or Yahoo. Search engines are governed by complex algorithms and it takes a lot of time and effort to ‘convince’ them that your website or web page deserves one of the top spots. Nevertheless, there are certain rules you can follow to optimize your website and provide the search engine bots with the necessary signals. While the web is floated with SEO tips and advice, most of the articles talk about SEO in a theoretical level and not how SEO can be applied in practice. In my opinion, this is why most website owners are confused and either they give up with SEO or simply do not get the expected results. What you will read in this post is SEO advice that works. I have tested this strategy over the years on a number of websites with remarkable results. Of course there are many other things you can do to help your website achieve better rankings, but the SEO tips presented below will give you a solid and reliable framework that is 100% safe (i.e. without taking any risks of getting a Google Penalty) and above all, it works. 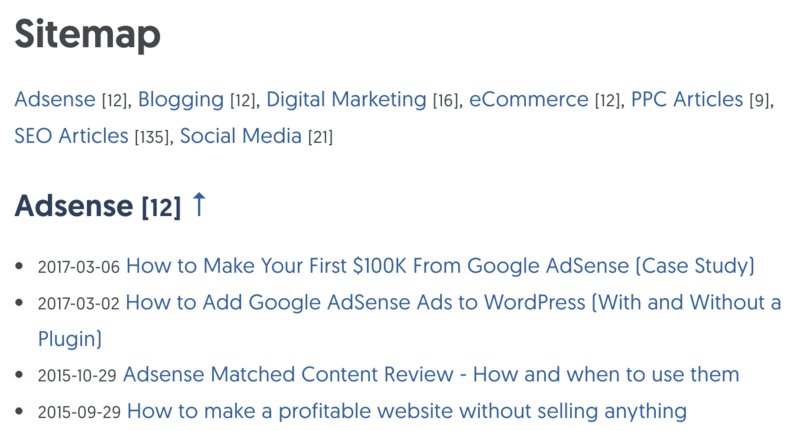 In addition to the tips, I have added real examples from two web sites that I’ve been doing SEO work, to help you understand how to apply the guidelines on your own website or blog. Page titles are a very important aspect of SEO and this is why it is the first item on my list. My findings the last couple of months showed that page titles are more important than ever especially for Google SEO. Home page title: The title for your homepage can include the name of your website/business and other bits of important information like the physical location of your business or maybe a few of its main focuses or offerings. The titles of other posts/pages of your website should accurately describe what the page is about and be attractive to the searcher. The page description meta tag is also very important. It gives users, Google and other search engines a summary of what the page is about. Google may choose to show what you type in the description as a snippet for your page or may decide to use a part of your page’s content. In other words, it does not mean that what you write in the description will show in the snippet. Keep the size between 140-150 characters. You can see the example below on how I use the description tag on my SEO Course page. The permanent link structure is a term used to describe the format of URLS for pages (categories/tags) or individual posts of a web site. It is shown in the browser address bar and in the search results (below the page title). Make sure that you have a breadcrumb on all your internal pages. A breadcrumb is a set of links at the top of the page that aid navigation. If you are using WordPress there are many free plugins to create a breadcrumb. When we talk about internal links we mean links in a page that point to other pages within the website i.e. not external links. In the example below, when you click on the link with anchor “increase the intensity” you will be redirected to a page with-in the website to find out more information on how to increase the intensity of an exercise. Link related articles together either by using keyword anchor text or by using the full article title. Pro Hint: Don’t always link old posts from new posts but every couple of weeks go back and link newer posts from older posts. It’s not an easy task to do especially if you have a lot of posts but it’s a very valuable tool for on-site SEO. Don’t just publish text on your website without first doing some basic formatting. This is not good for the user experience and works against your SEO efforts. When formatting your posts always have in mind the user experience. Can the user identify the main sections of your post (H2 tags) just by looking at the page? Is the text easy to read on all devices (smartphones, Apple Ipads, Android tablets etc)? 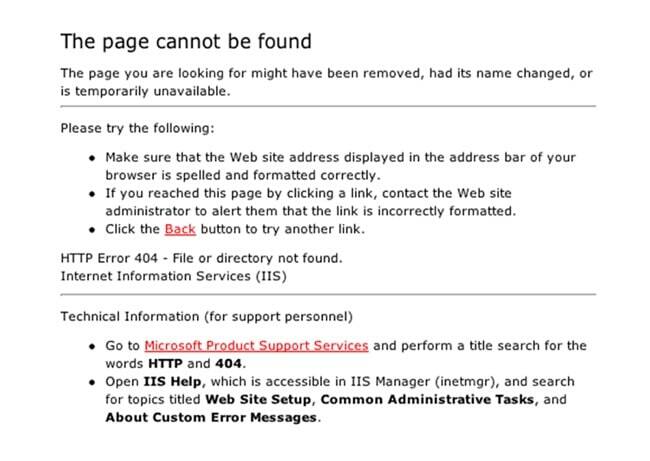 SEO is about improving the user experience and a proper 404 page contributes to that goal. Images are necessary to enhance the user experience but care should be taken not to create other side effects like problems with page load speed or slow response. Optimize the image size. The smaller the size of the image (in KB) the faster your website will load. Google mentioned many times that page speed is a ranking factor and yet many webmasters don’t optimize their web sites for speed. Their aim (Google’s) is to provide the searcher with the most accurate results in the fastest possible way. It is certain that page speed (as a ranking factor) will gain more importance in the next couple of years. 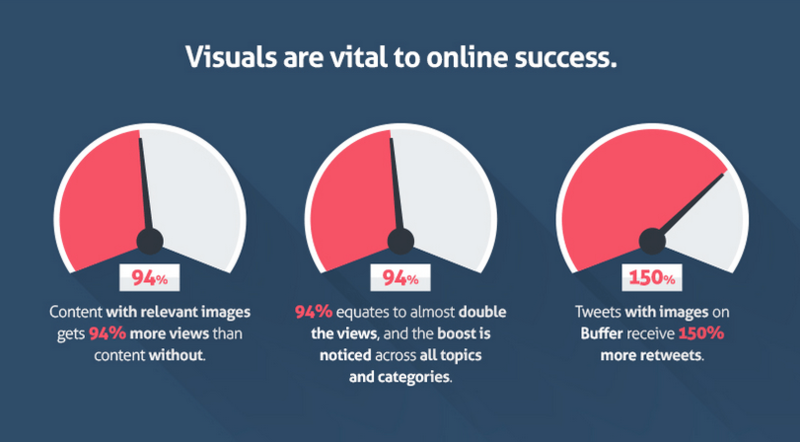 Optimize the size of your images. I know that tackling issues related to performance is a technical issue and sometimes it’s not easy for the average user to identify and solve the problems. Nevertheless it is a very important factor for SEO and should not be neglected. There is no way to avoid mentioning link building when we talk about SEO. The reason is simple: Off-Page SEO factors play a very critical role in the Google ranking algorithm. I know that for beginners to SEO this is a concept difficult to understand, so let’s take it from the beginning. What is link building and why it is very important for SEO? 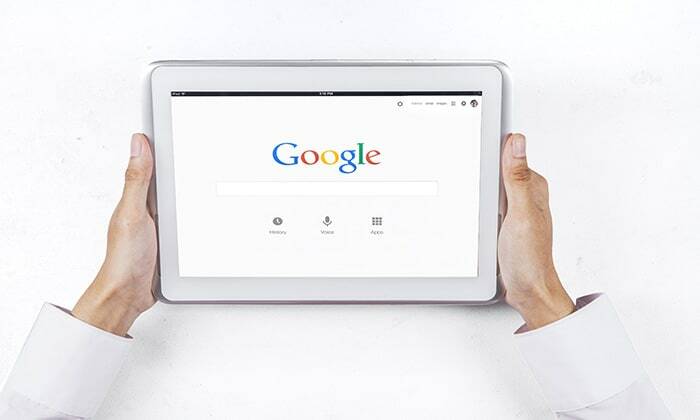 When Larry Page and Sergey Brin (Google Founders), created the initial Google ranking algorithm, they were looking for a way to compare websites so that the best were shown first in the search engines results pages (SERPS). Besides taking into account the on-page SEO factors of a page, they decided that websites that have incoming links from other websites, are probably more important and popular than others, so they deserved a better ranking. In other words, incoming links counted as ‘votes of trust’ and this had a positive effect on a website’s ranking position. The more incoming links pointing to a website the better was the ranking position. At the beginning, this was something that could easily be manipulated. Webmasters who understood this concept started building thousands of links pointing to their websites and increased their rankings. The problem was that some of those websites were not good quality websites and they did not actually deserved to be in the first page of Google. Overtime this created a huge problem for Google that impacted the quality of their search results. To protect their reputation and keep spam websites away, Google started adding more strict rules to their ranking algorithm and they were able to differentiate between natural and artificially created links. The result was a success for Google. Spam and low quality websites did not only lost their rankings, but in many cases they were removed from the Google index. This was the time that Google penalties became more popular and words like Panda and Penguin (that’s the name given to Google ranking algorithm changes) became a nightmare for many webmasters. 1st -> Links are still a very important aspect of SEO. 2nd -> It’s no longer a matter of quantity (how many links are pointing to your website) but of quality (from where these links are coming). 3rd ->Natural links are good for your rankings, artificially generated links can get you into trouble. So, it should be clear by now that links are important, but how to you get them? Link to other websites and reach out to webmasters informing them that you added a link to their websites. If they like your website, they may return the favour – This is actually advice given by Google in one of their guides, as explained in Step 5 here and shown in the screenshot below. I am sure that if you take a look at your analytics data you will see a good percentage of your daily visits coming from mobile. It’s not in the scope of this post to go in detail into mobile SEO but there some simple steps to follow to ensure that you website is mobile friendly. Update: The best way to approach Mobile SEO is to adopt a responsive website design. There are many advantages both in terms of SEO and usability. A sitemap is a list of all posts/pages of your website. 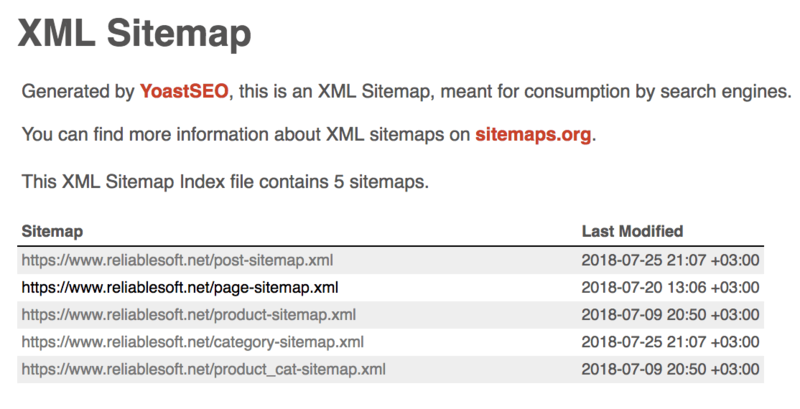 You need 2 types of sitemaps. First an xml sitemap to submit to Google, Bing and other search engines and second an html sitemap to help visitors find your content easier. It is recommended to place a link to your user sitemap from the main menu. In order for the above tips to work you need first and foremost to have good content on your web site. Content is still king and a web site with good, original, quality content can do better in the long run (with or without SEO) than a web site optimized in SEO but with not so good content. When people search on Google, Yahoo or Bing they are essentially looking for answer to a question. Good content is post or page that answers this question. How do I know if my content is good? There are two simple ways to understand if your content is useful. First you can check your analytics and especially the time users spent on a page. A reader will stay longer on the page if the content is good and second the number of social media shares (Facebook likes, tweets etc.). This is actually a very good way to understand what user’s want and what type of content to provide in your website or blog. Make sure that your content delivers what promised in the title. If for example your title is “How to lose 15 pounds of fat” make sure that your post provides an accurate description (or steps) that someone can follow to achieve the desired result. Check your text for typos, spelling and grammar mistakes. Provide links within your content (where appropriate) to other pages on your site (or other sites) to get more information. Include references from established research or studies (where appropriate) to prove that what you are saying or suggesting is correct. Many people often ask me “How long (in words) should I make my posts?” You should understand that there is no single answer that fits all purposes. It greatly depends on the type of post and topic. For example, the post you are reading now is more than 4000 words because it is a vast topic. In order to explain someone the basic rules of SEO I had to make the post that long. If for example you are writing about the benefits of black chocolate then surely you won’t have to write that much. This is exactly where quantity vs. quality comes into place. It’s better to write a quality post without counting words rather than a long unfriendly post for the sake of providing more word count. Google’s official view about content length is very clear: Short content can be useful and rank well. What does Google consider good content? A couple of weeks after the release of Penguin, Google published a set of criteria for accessing the quality of a web site. Among the suggested guidelines they included some questions to ask after you finish a post, to help you determine the quality of your work. Having fresh content is an incentive for visitors to come back and for search engine bots to visit and crawl your website more often. This is true when you really have something new to say about the niche or topic your covering. Avoid publishing pages with similar content just for the sake of updating your web site or blog. You have no broken links i.e. links to web sites or pages that no longer exist (you can use xenu – a free tool to analyze your external links). Google and Bing have what is called webmaster tools. This is the place to register and submit your web site to their index. After submission you can visit the webmaster central and get valuable information about your web site. Schema Markup: One of the ways to help search engines understand the context of your content is through the use of structured data markup. In simple terms structured data is a way to annotate your content so that crawlers can index your pages better. Although this is not officially part of the Google ranking algorithm, it is something that can improve the presentation of your pages in the search results and this means higher click through rates and more organic traffic. There are various schemas for almost all kinds of content (articles, videos, images, products etc) and websites (personal, business, local business etc). See also: How to rank content in Google’s Featured Snippet. Consolidate links to a particular page (this is useful for ecommerce websites or websites with dynamic URLS with parameters). Tell Google the original publisher of an article in case you syndicate your content in other websites. Read this guide from Google for more information. I have followed all the above SEO Tips, now what? Promote your web site using techniques that work and above all are safe. If you fail with your SEO optimization your web site may not be running on it’s full potential but if you follow wrong promotion techniques you increase the risk of getting a penalty and completely destroy your efforts. What about adding keywords in the meta description, aren’t these important? Adrian, the keywords meta tag is not taken into account by Google or Bing. You can still use it if you want but it wan’t make any difference in terms of SEO. Is it risky to use keywords in your internal links? 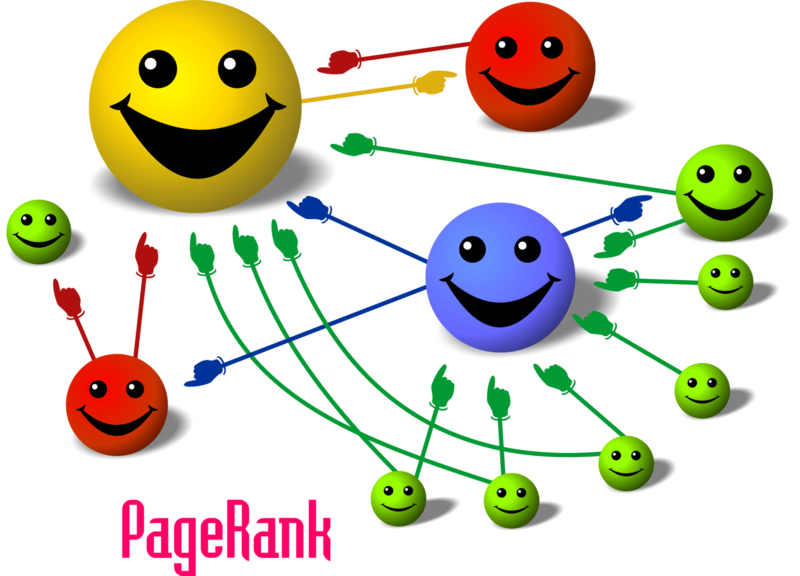 You mention to go back and link your new pages from your older pages, how does this helps your rankings? James Hi, sorry for the late reply, I must have missed your comment. Moderation is the key here. Google mentioned many times in their documents that internal links should help the users and search engines understand what the page is about. In their examples they always show keyword internal links. The best advice is to use both keyword and non-keyword internal links within a page. Over-optimizing your pages or web site is not good so keep a balance between the two. About the other question: Your older pages normally have a higher page rank, correct? So by going back and linking to newer pages it gives them an extra boost. Thanks a lot for you nice comments. I will contact you right after this comment to discuss how can I help you. I have seen hell lot of websites these days about internet marketing and seo stuff. But, your site is awesome and this is the best in terms of what you have. The content you publish is right to the point and brings hope for a newbie. I discontinued many websites 2 years back and I am starting a few again. I am daily browsing through a few websites by creating alerts related to seo and stuff like that. I am glad that I found your website accidentally while browsing through an article related to getting 100,000 visitors through google which is my presnt target. Since that article, I have now read 5 articles in a row on your blog. Keep the great work flowing in and let people like me get educated and inspired forever. Thanks a ton ! Thank you very much for superb information. i really like your article.. The tips were awesome. Keep Posting. When google started authorship verification process, it created a big buzz and a lot of people claimed that it will have huge impact in terms of ranking. Initially we have seen some effect of authorship verified posts in our different search results but I can hardly see them now in any of my search terms. I am not sure if it is still important. This post is great! Thank you for the easy explanations and contextualizing it with examples. I am wondering, because I always hear a lot of SEO experts as they say, that google is always updating its algorithm as far as SEO is concern, my question is, is it still applicable at this present time (2015), those informations that you have shared? I’m really confused, i also want to improve my understanding regarding this SEO. and hopefully someday if possible become expert like you. That is why I read a lot articles and watch videos pertaining to SEO. Hope to hear you soon.. This is a great article. There are so many different websites and blogs out there claiming to know the secrets to SEO but this post is actually very informative and simply written to help someone that is just trying to wrap their head around optimization. Nice job! Really useful tips, glad I found your site. Hi great information for a beginner this article really helped a lot of people . To the point explained…well written! 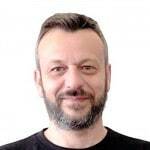 Nice article Alex, some great information here for SEO beginners as well as some veterans. Sometimes it’s nice to get a refresher course on things that you might have been forgetting about lately. I like the tip about permalink structure especially. It’s actually amazing how many people have a website or blog that has a horrible permalink structure, as far as SEO. That’s one of the easiest things to do to give you a little SEO help. Anyway, great article, I loved it. That’s a really great article you mentioned everything. these tips will definitely help me a lot. Appreciate your level of detail and excellent tips for SEO. Will share with my contacts. Wow it is interesting to read, great attempt for beginners. I like your blog and way of writing. Keep posting. Thanks Abhinav, glad you found my SEO tips article useful! Thanks for commenting. At the risk of repeating what had already been said a million things… Thanks for the post. Some very good tips here presented in an easy (for a newbie) to understand way. One sugestion has to do with out of date content (author authentication). It would be a lot more useful if you put the explanation that is out of date _before_ the main details. Thanks for your comment. Your suggestion makes sense, thanks a lot. Thaks alot for this extra-ordinary post, Before reading this post.I am not aware of SEO techiniques. Thanks for your site and blog full of useful tips and information for all levels of SEO builders. As you know and keep saying, SEO content for newbies is a challenge because there are too much information to get and tasks to be accomplished. I understand. Problem is: what about if despite being a newbie, I have found out that my Website provider does not provide any possibility to view or manage the essential SEO factors? From the very first steps you recommended to manage (e.g. permanent link structure, page titles for each page and its description etc…) until more complicated ones, my Website provider (when in its edit mode) does not show me or allow me to change any of these structures! I simply do not find any editing area to manage such important structures. Could you help me please to find out why? By website provider I guess you mean the software you use to develop your website. What software platform are you using? Please give us more details. Also, there is always the option of migrating to an SEO friendly platform like WordPress and solve these kind of issues once and for all. Interesting article. SEO is very important to have for your companies virtual identity, but I highly recommend that rather then doing it yourself, you seek a professional to do it for you. A professional keeps up to date with the changes of algorithms, and has the professional experience to optimize. A great web designer will provide a professional SEO specialist as an option when building your site. This article is very informative and very useful to all who create a website or blog .SEO is the main important thing to do for website and who read this article and follow these step can get success thanks for sharing.. Thanks Mani, glad you find my SEO tips useful. I have read your article. This is a very useful and informative article concerning the SEO. All the confusions once I had, have disappeared after reading your article. Thank you for sharing such kind of article. Alex, Awesome onpage Seo information. I generally make my own sitemaps and place them in robot.txt so that google and other search engines can crawl my site properly. People who use wordpress with yoast seo and other seo should also create their own sitemaps and decide how the website should be crawled. You will get many tutorials how to make your html sitemaps on youtube or google. DO not buy traffic or backlinks for your website !! I will suggest you to create your own backlinks by commenting, finding broken links using ahref and contact them to exchange that broken link with your link, most of the websites change their link in 2-3 hours.. You can also bribe them by writing some content for your backlink. CONTENT is still the king because google algorithm notes the bouncebacks, amount of time the user scrolled your site and other parameters. So if the content is not engaging and relevant enough google will not rank you at the top !Even if you have million backlinks. Thats it from my side. I agree with you 100% especially when it comes to link building and content quality. This post is so good for beginner. They can earn a bunch of knowledge from this post. I’m referring this toward my friends. Thanks a lot. My advice is simple: Be Patient, follow solid SEO practices, keep publishing interesting and high quality content to your blog and everything else will follow. It takes time to get results but don’t give up. I’m new blogger who started blogging a month ago, I’m using blogspot platform. I have a question, Is there a difference for seo tips when using a free based platform (blogspot, wordpress.com,etc) and self-hosted website? SEO is the same for all platforms but it’s always a best practice to have your own domain and self hosted website instead of using a subdomain on a free platform. Thanks you for comment. All the best with your SEO Efforts. Really helpful stuff me beginers like me. Following your blog from long time. Great work u doing, keep going.. Thanks Alex for sharing a great message for beginners that is helpful for a new blogger and that one who want to start a planning for new blog and website. It’s also important to point out that links ON Social Media platforms are mostly nofollow so rarely impact your website’s actual SEO. So don’t go flinging around your website URL on social platforms thinking it’ll improve your SEO because that just isn’t the case. That’s true. Links from social media are mostly nofollow. Just a quick message to say thank you for the info. Thanks a lot and looking for further.. Awesome, I really appreciate your post I found Everything here related to SEO, really recommend your post to others for best SEO Practices Thanks for sharing such a nice post. Nice Post on SEO. These are the core points for good SEO. Your post clean for me to update my website. I follow this style for later on. Great tips. Obviously, In the changing landscape of marketing and promotion, SEO has become a core element of any serious business whether big, small or medium. So this information is very useful. Thank you for sharing it. Thanks a lot for the insights, I am learning a lot of SEO stuff. I am going to implement this on my site. I really appreciate your post I found Everything here related to SEO. luckily i found you website on search engine. Hello sir, Almost all step done ! I have been reading your content since last couple of weeks and I found you have some excellent articles. Thanks for sharing such nice contents. Specially this content will help me a lot. 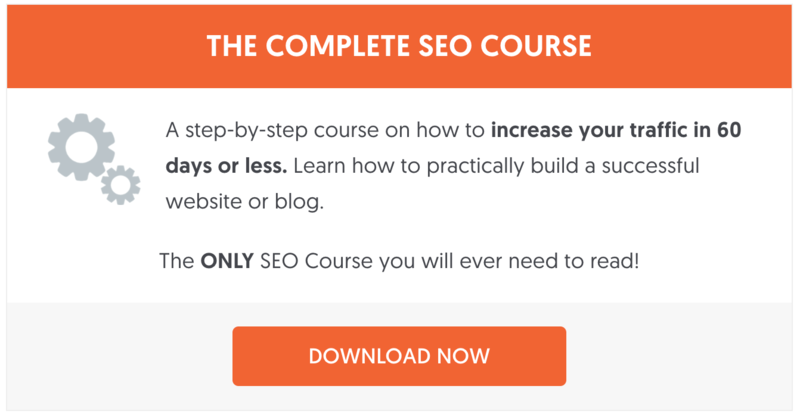 Thanks for the info, I am always learning this will help me review my seo tactics. SEO is a game of time & patience. One have to learn first what to do and what not do and apply the basics carefully. You have to wait for some time to get results. Many thanks for this awesome article for beginners. Yes, getting backlinks from others high qualities website (websites having high DA [Domain Authority]) is the more effective way to increase the ranking of the website i.e. Off-Page SEO techniques. Furthermore, adding keywords into 1-100 words which is also a good way for improving the SEO. Awesome SEO tips. The post is really helpful and educative. It is just what I needed to know when it comes to boosting my Site on Google. Thanks for the insights. Wow!!! I’m blown. This is a beautiful piece. Where have you been? Great one Alex. I read every word from beginning to comments. Please Alex, I need a favour. I’ll be launching my blog in 7days. I’ll contact you. It is a useful reminder to me on the things that are needed to make my client’s sites successful. Very well written article, I must say it covers everything that must be kept in mind right from writing a good content to attracting a decent audience and properly structuring a website for the same. Thank you for emphasizing so much on these fundamental points like breadcrumb, page loading speed, and seo in all . Hope to keep the same with the website. Great tips here! Good content is one of the most important SEO factors on your page – make sure you are not duplicating someone else’s work. Quality is much better than quantity. If you want to generate traffic through search, it’s best to do keyword research before you start writing. SEO makes demands. Content marketing fulfils those demands. Your blog just awesome. It is a very helpful & informative post for me. Because I am Digital marketer as an SEO expert. Please keep it up. Well, I realize i might be a bit late to the show here, but i feel like nowadays schema wouldn’t be in the bonus tip section i feel like it’s one of the almost most important part of a site. Very informative post!! Like high quality content, page speed, mobile optimization; HTTPS also plays a vital role in ranking system. Just read your article, found it really helpful and easy to understand. Applied it on my website…. Just wow! First of all i’m impressed with your clean blog design. This article is a masterpiece for beginners like us to improve SERPs. I have bookmarked this article already. Hey, this is an Amazing article. You keep all the important information straight and clear. And it helped me understanding some SEO tips too. Great tips here! Good content is one of the most important SEO factors on your page – make sure you are not duplicating someone else’s work. Quality is much better than quantity. If you want to generate traffic through search, it’s best to do keyword research before you start writing. SEO makes demands. Content marketing & PPC fulfills those demands.